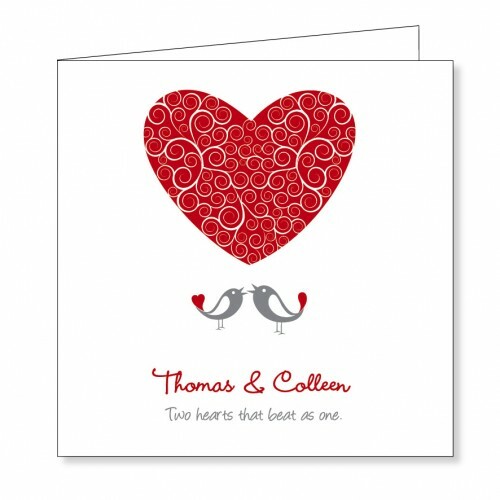 Love bird folding wedding invitation, colour of text can be changed if required. • Simply upload your details and we will send you back a proof! Please note: once your order is placed we will email you a digital proof within 48hrs, once you are happy with the proof please allow 5-7 working days to print and deliver. You will be supplied with a tracking code if required to track your invitations online.